Previously available only in spas or luxury hotels, the luxury of a fog-free mirror can be yours to enjoy in your own master bathroom. ClearlyYou™ Mirror Defoggers transmit gentle warmth across the mirror's surface, preventing moisture from forming while you bathe or shower. Self-adhesive backing allows easy application to any wall-hung mirror in just minutes. 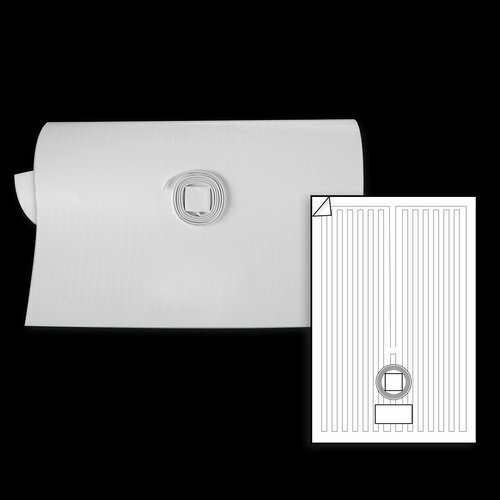 ClearlyYou™ Mirror Defoggers come ready to install in several shapes and sizes. Pre-attached power leads conveniently connect to your bathroom's 120V lighting circuit. The mirror defogger draws only a minimal amount of energy and operates at a constant, regulated temperature of 104 degrees. Not suitable for installation in the shower. ClearlyYou™ Mirror Defoggers achieved an average rating of 4.8 stars with 11 reviews by our customers. Great product. The defogger works great. The defogger works great. I added plugs and plugged them into recessed outlets that were installed in the remodel. They are in the same circuit as the exhaust fan, so the mirrors start heating when the fan turned on as soon as I enter the shower. I was nervous applying them to the back of the mirrors as the instructions said not to do any trimming, but realized that the excess could be trimmed off safely. The instructions should have pointed out that the oval ones might need to have the excess unnecessary adhesive material (without the wires) trimmed to conform to the mirror's shape unlike the adhesive backing which was not rectangular. Works exactly how I expected. Installation instructions were easy to follow and it was a straight forward installation for me. Works great. Easy to install. Highly recommend. The element itself is almost too beautiful to put on the back of the mirror! And works great! The service from your team was awesome and speedy! Really first rate! Works great. Was easy to install. I wired it so it turns on with the shower fan and the shower light. The Defoggers were easy to install and they have worked just fine. Excellent product! Great product! Does work better for new construction because of the need for power. But I put it in an existing bathroom during a refurb. I use it behind a shower mirror. Does not seem to take away the mist as well as I thought it would. Maybe it has to be on for a longer period of before getting in?